Vladimir Novitsky, President of the International Human Rights Association in Russia, took an in-depth look at the rise of extremist nationalism and a recent posting of killings on the Internet. 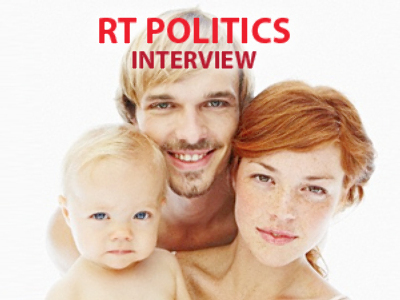 Russia Today: Could you comment on this videothat has been released on the internet? Do you think that it is real? Vladimir Novitsky: You know, most probably it is a provocation without any real basis, aimed to agitate the mass media in order to stir up interest in the subject of inter-ethnic relations. We do not know the people being shot in this video. At the moment, as far as we know, there is no information that such a crime took place in reality. As for the possible circumstances of publishing such a material, then surely it is quite possible that this video was published by those who do want to warm up interest to the subject and possibly recruit new members to an existing organization. RT: It's now being reported that the train bombing was also nationalist group. Why does racist activity appear to be on the rise in Russia? V.N: Well, concerning this tragic incident with the train it is a miracle that there were not a large number of victims. But on the other hand it is too early to say it was an action of Russian extremists. There is no advantage from this action for them from any point of view, just attracting the attention of security services which are interested in their activities. Therefore in this case we most probably are dealing with those extremist organizations which are already operating actively. Possibly some groups from the North Caucasus intending to show they are still strong enough to perpetrate certain actions in Russia. That is why it seems to me that in this case it is too early to name Russian nationalists as the principal offenders. RT: Let's compare: what about Europe and the U.S. and other places in general? Is nationalism on the rise there too? Do you think that it manifests itself in similar ways? V.N: Unfortunately, there is no country spared of extremist manifestations, including national and religious extremism. It naturally applies to Russia, to European countries and to the U.S. We all remember those events in France, we know about familiar conflicts in the U.S. In fact, we are not ready to proclaim Russia as a leader in this field. Luckily so far, there are no more than 400 crimes registered annually in Russia related to national extremism which makes 0.1% of all the crimes committed in Russia. So, in this respect, though having a tendency to grow, we hope to hold up such manifestations and contain an outbreak of real nationalism.